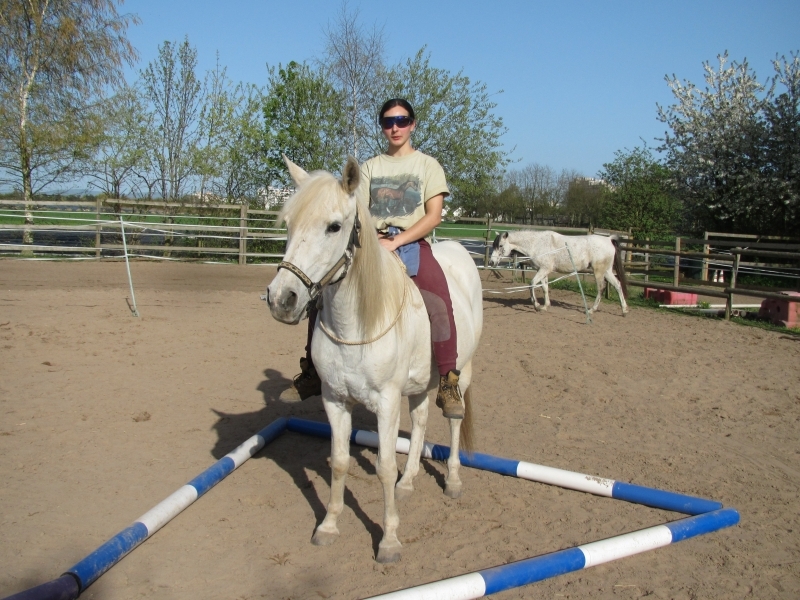 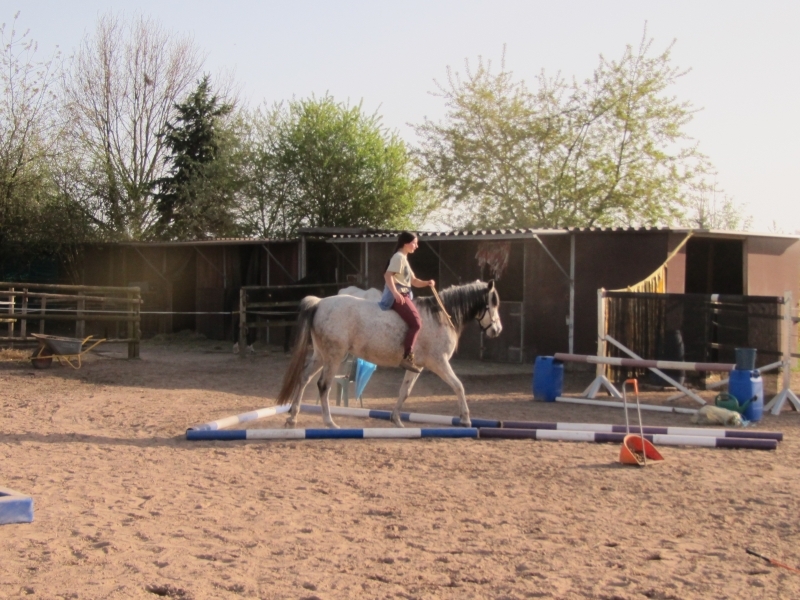 The turning area is not especially scary for horses, after all it consists only of some combined poles. 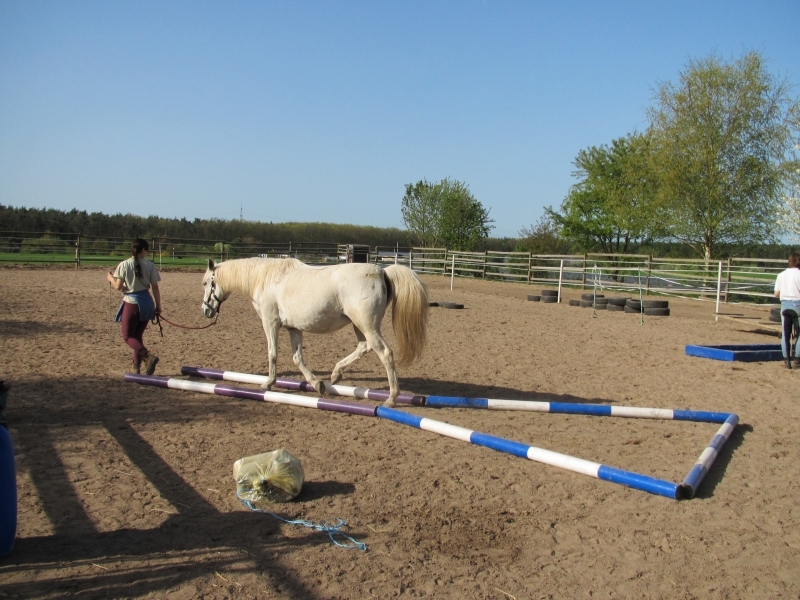 Rather the point here is precision and accuracy, the horse shall at no time step onto or over a one of the poles and shall let itself be directed reliably into the area, turned around and back out of it again. 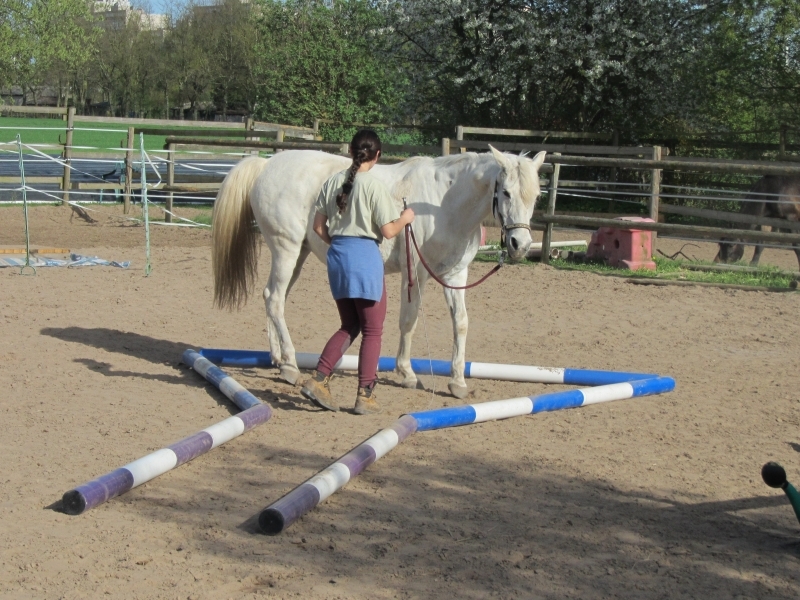 In doing so the horse must bend, get round and yield, which has an appropriate gymnasticising effect. 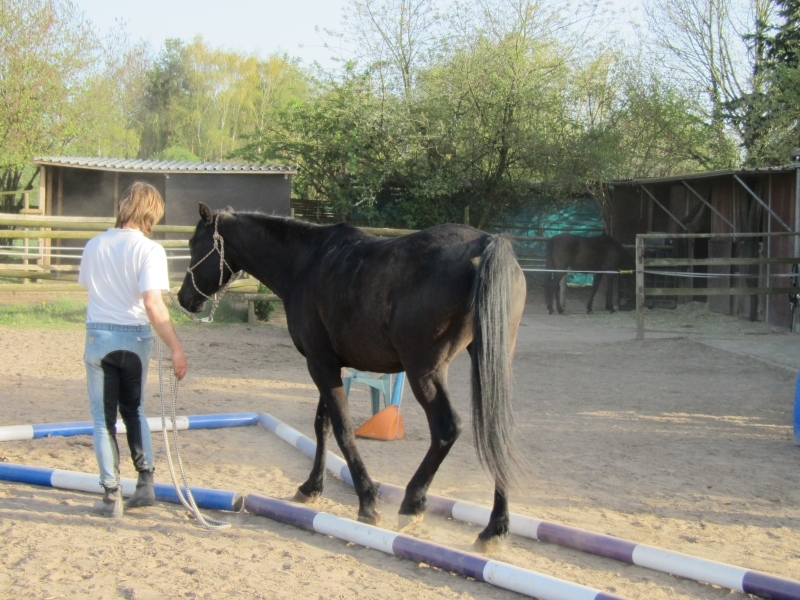 The exercise can of course be done from the ground as well as from the saddle. 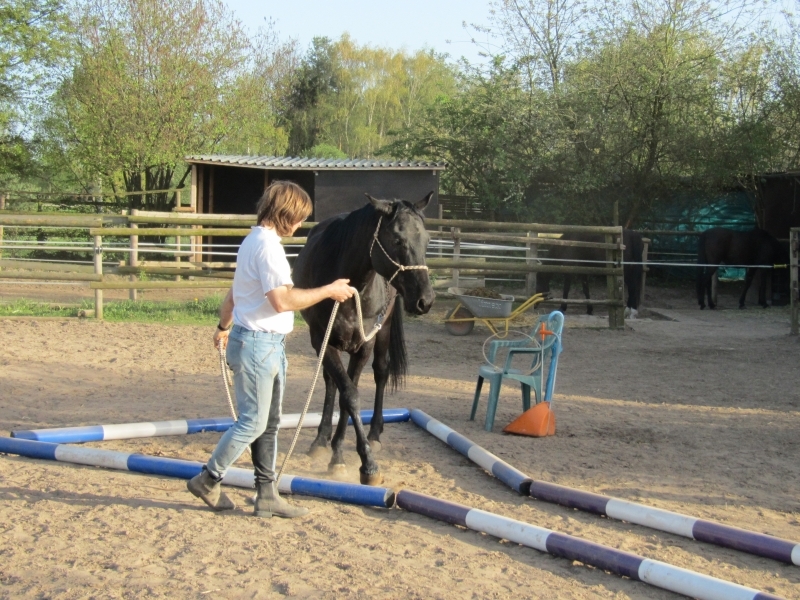 The neck ring of course requires a horse that reacts especially precise onto the aids and let itself be willingly navigated. 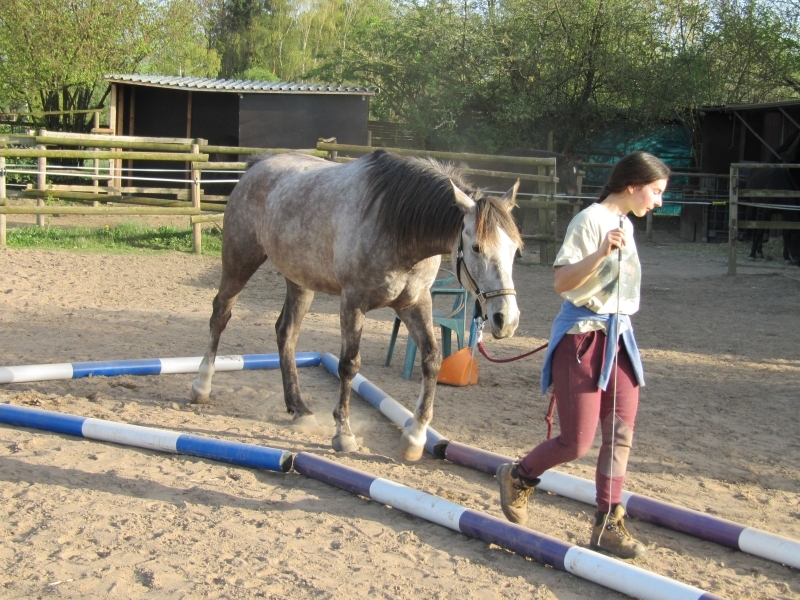 Also the turning area shall naturally be completed with minimized interaction (give the horse a feeling which it follows) and without a rampant tug-of-war, the rope ideally hangs loose the whole time. 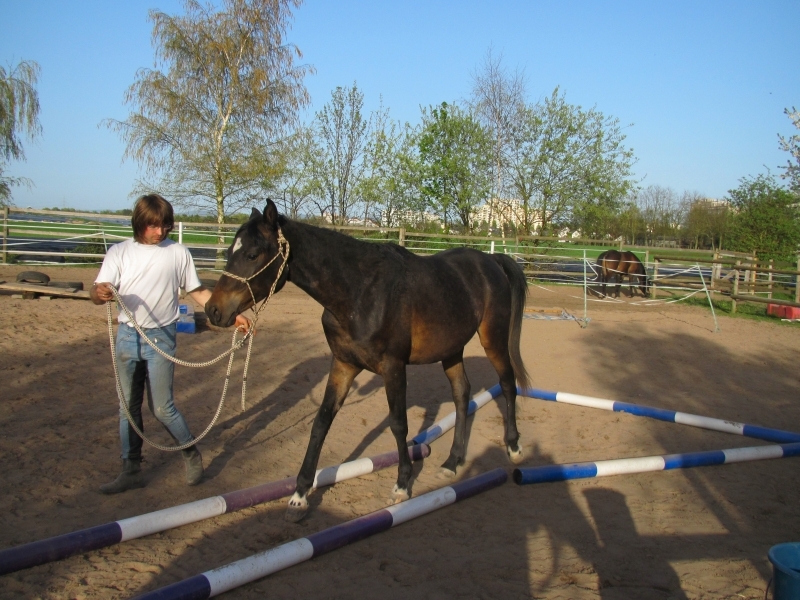 The horse must let itself be navigated well and especially move the forehand, as can be seen here on the crossing forelegs. 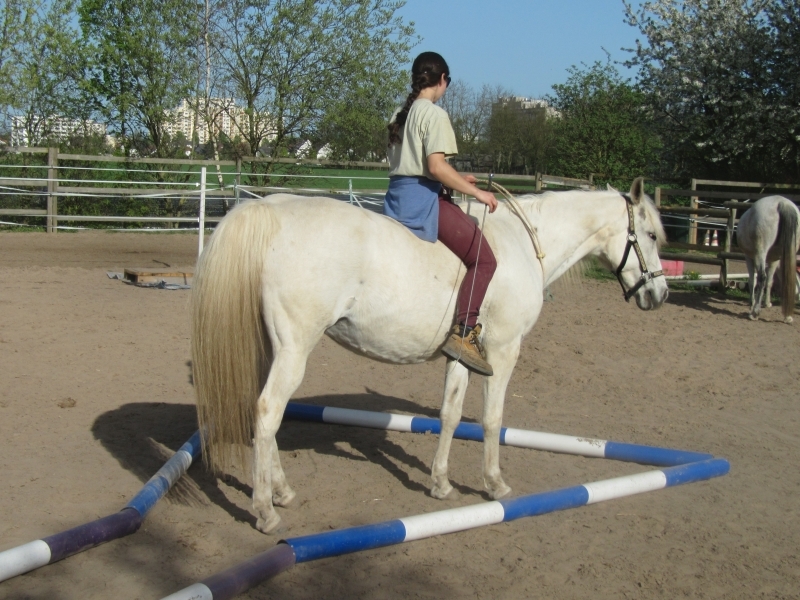 This is also a good exercise to increasedly put the horse on the hind quaters from the ground. 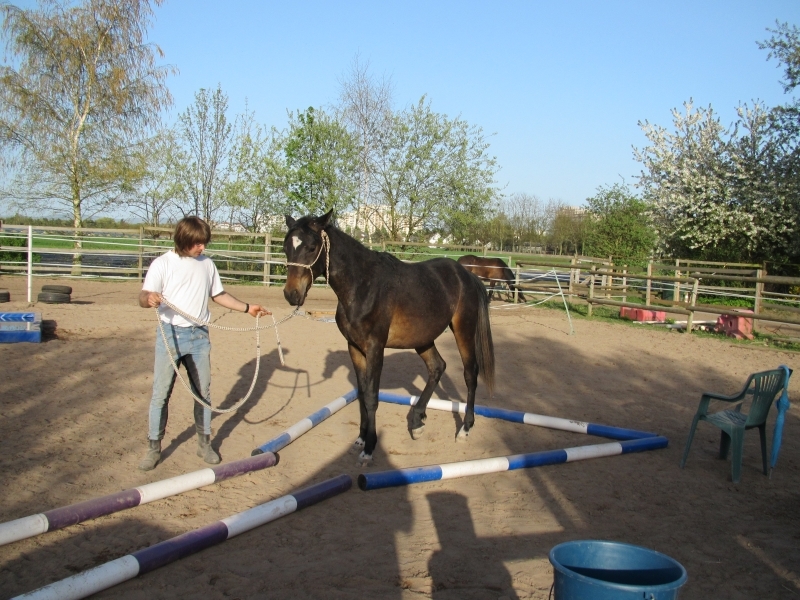 And even our youngest must not be missing!